I was pleasantly surprised recently to see that many life science companies had customized, thoughtful content posted for International Women’s Day, see example below. It really represents the fact that life science marketers are becoming more sophisticated with respect to social media. 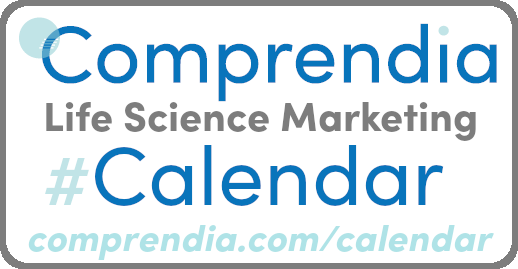 These marketers likely use a guide such as this Hubspot calendar, so that they are prepared a month or more before the social media “day.” While this resource is great, we realized there is no specific calendar for life science marketers that also includes disease awareness days/months, STEM days, and other notable events to share on social media. Engagement in social media is key, and the #IWD2019 example above also shows that celebrating these days at your organization, and sharing with your followers, is a win-win-win situation. You’re showing your company’s supportive culture, engaging your employees resulting in a feeling of camaraderie, and showing your support of different groups in the scientific community. Additionally, it gives you a great source of content, and you’ll gain followers by leveraging the event’s hashtag. Add the Google calendar to your work/your company’s content calendar. Check quarterly or bimonthly to plan your social media content (we’re assuming you’re also checking it quarterly or yearly for conference planning). Copy important calendar items to your own and/or your company’s content calendar, and add reminders, if the events are far in advance. Plan all content/photoshoots at least a month in advance (the post above likely took more than a month to plan/implement). Check all first-of-the-month posts for a list of monthly awareness events, add relevant ones to your calendar, with reminders. Follow us on Twitter for 14 day ahead reminders for events longer than a day, and for monthly awareness events. Because no calendar of this sort existed before, we’re still looking for events to add, and thinking of what days should be added! CRISPR day, hug a scientist day… After checking out the calendar, please leave any suggestions in the comments below. Of course, we’re also here to help you with your life science planning and social media needs!